Dog Target training is a method to accelerate how we elicit the behavior we want, instead of just waiting for it to happen. This is done by using a visual cue to prompt the dog on the right direction. 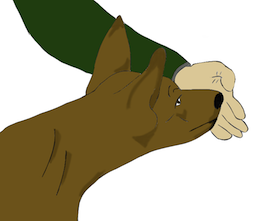 This technique is very simple, you will teach your mongrel to touch his nose to your hand or other object. In my experience, I have seen dogs that don't care much for training go nuts about targeting. Targeting dog training is the most common way of using visual prompts to train behaviors. Once your dog knows how to target, you can teach him to touch other things, or even use the command to train advanced commands. Dog target training rewards your canine friend to target, he enjoys the activity and this increases his confidence, it is a great cue for fearful dogs. You can also use it to catch your dog's attention or quickly make him follow you. Make a dog training Target! Use any of the following items or you can come up with your own too! Your hand into a fist or palm open. Any long item such as pencils or spoons. Post-it notes or any other type of paper in the shape and size you need with tape on the back. This particular target can be very useful to simply place the target without you having to stand in a weird position. Make your own with a wooden kabob and a Styrofoam ball tip. You can also buy a fancy target with a clicker attached to too! If you thought of any other, share it with us! Make the target interesting to your pet! Move it around a little bit or rub some food at the tip (only once though and only if your mongrel won't come near it). If your canine friend shows any interest in it (looks at it, moves toward it, bumps it with its nose) - Mark and Reward! After a few rewards, let your pooch do it a few times without being rewarded. Then reward again a few more times! Now try it with the target farther away (so your dog has to follow it) - Mark and Reward! After a few rewards, let him try it a few times without being rewarded. Then reward again a few more times! When your puppy is reliably touching the target when you present it to him (8 out of 10 times at least!) then...and only then...you can add the verbal cue - Touch! Use the verbal cue right before you present the target. Mark and reward the next good response. Repeat several times! Present it again, but do not say Touch! Do NOT reward him if he touches it. 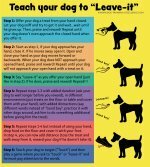 Repeat steps 9 and 10 until your pet reliably touches the target only at your command! Ready for more Target Training? Move the target! Try having your pooch walk or jump to touch the target at your command. Go slowly, first a step away from his nose, then 2 steps and so forth. Mark and reward every good response! Change the target! Try saying the command Touch but with a different target! Mark and reward! This will come in handy to train different things with different targets. Try his paws! Try training your dog to "Touch" with a different part of his body like one of his front paws. You might need to use capturing or shaping to get him to do that. 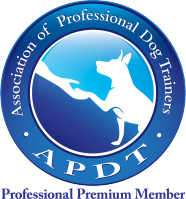 Learn how to train your dog to Touch using clicker training. Click Here! How can I use Targeting? You can use target training to speed up several behaviors. For example, if you want to teach your dog to spin by Shaping alone, you would reward small steps towards the end goal. Reward when he looks to the left, then when he moves his head to the left, then when he moves his head and torso to the left...and so on. It can take a while! By using a target you can make your dog follow it as you make him go into a circle! Ta-Da! 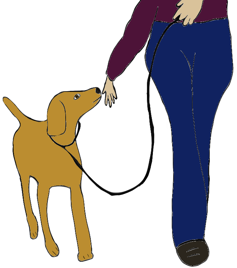 Walk nicely on a leash (Use your hand and have him follow it as you walk). Roll over (start with your dog into a down position and make him roll over by following the target!). Get in the car - Get out of the car. Get in the bathtub for grooming. If you are going to teach your dog a behavior by using a target, eventually you will want to fade it away. First: Make sure your dog is doing the behavior (when prompted with the target) reliably! (8 times out of 10). Second: Now it's time to fade it. How? Make the target less obvious! If you are targeting walk nicely with your hand (or a spoon or stick), make your dog follow your hand and once in a while lift your hand to your hip, then put it back down again. Do this until you can have your hand on your hip (while your pooch is still walking nicely in position) for a few seconds at a time. Keep adding more time until you can have a nice walk without your dog touching your hand the whole time! Third: Add your command! Make sure your dog is reliably doing the behavior with a very faint lure. Now say your command - Spin! - mark and reward the next good behavior. Repeat 5-10 times. Now use the faint target BUT do not say the command! Do NOT reward your dog even if he does the behavior! It's like playing Simon says! With practice your pet will learn that he only gets a reward if he responds after your command! Now you can fade the target completely away! My dog bites the Target! Solution: Don't reward him! Let your dog keep trying and only reward him when he bumps the target. No mouthing, no licking, no chewing! My dog doesn't respond to the command only to the target! Solution: Your command should be clear and your target should be faded (it should not be obvious at all). Dogs understand body language better than words, that's why it's easier to follow a target than listen to a word. If you can't make your dog respond to a word, teach him a hand signal! 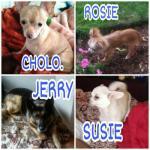 Read "How to get a reliable dog training command" article for detail information on this topic.